In a season that started with the defending national champion New England Patriots losing on opening night, not many would have guessed that four weeks into the season, the biggest story around the National Football League would be what happens minutes before kickoff. After President Trump recently lashed out at NFL players who kneel during the national anthem, many NFL players have made it a point to protest as a team by either kneeling, linking arms or staying in the locker room during the national anthem. The reaction to Trump’s controversial comments started the following day at a game in London Sept. 24 between the Baltimore Ravens and the Jacksonville Jaguars. Players knelt and locked arms and Jacksonville Jaguars owner, Shahid Khan, locked arms with his team during the national anthem. The protests did not stop there and lasted throughout the entire day on Sunday and carried over to the Monday night football game on Sept. 25. Monday night’s game had another owner on the field with his team, as Jerry Jones of the Dallas Cowboys locked arms and knelt with his team even after President Trump tweeted that he spoke with Jones and said that the Cowboys would stand for the anthem. There were a lot of people in the stands who booed the protests as many fans do not agree with what the players are doing. Many people see it as a sign of disrespect toward the flag, the national anthem and the military veterans who have fought overseas for this country. The players have come out and publically stated that they are protesting systematic oppression of people of color, police brutality, and the criminal justice system as a whole. By kneeling and locking arms, the players claim they are showing respect for the victims of unlawful police brutality. By kneeling, they hope to get their message across to a wider audience. “It’s about police brutality plain and simple. They have intentionally shifted the focus onto the flag, but the main issue is police brutality,” said Festus Addo-Yobo, director of Black Programs at NMSU. The Black Programs department plans to hold a panel discussion on racial issues currently in the news, recent comments made by President Trump, and things that are happening at college campuses around the country related to disrespect of African American students. For the past few decades, videos have surfaced that reveal cases of unlawful police brutality against people of color. People of color have stated they are frightened of law enforcement officials and walk their own streets in fear. The NFL protests are their way of trying to stop the brutality from occurring and trying to unite a country that many people see as divided. “For many generations, people of color have declared that law enforcement has had a long-time pattern of being violent and engaging in even fatal violence against people of color,” said Laura Gutierrez-Spencer, director of Chicano Programs at NMSU. NFL Commissioner Roger Goodell held a meeting with some team owners and a few players on Sept. 26 to discuss what to do about the protests moving forward. Reportedly, the meeting was a success and many ideas were discussed in furthering the protest movement. Specific details of what was discussed have not been disclosed, but one player did say that Commissioner Goodell and NFL owners are allowing players to use their sport to try to convey their message. “I really appreciate some of the owners who supported the players and supported their right to speak up, and for their right to free speech,” Gutierrez-Spencer said. The protests did not stop with the NFL, as five players from the University of New Mexico football team protested by taking a knee during their game against Air Force Sept. 30. The public’s reaction was mixed, with people on both sides of the debate voicing support and criticism of the players. This protest differed from the NFL protests in that instead of taking a knee prior to the game, the players protested at halftime because that is when the national anthem was played. The New Mexico State University football team has not publicly protested at any of its games so far this season, but at least one player thinks what NFL players are doing sends a powerful message. “The NFL has great influence on a lot of people. 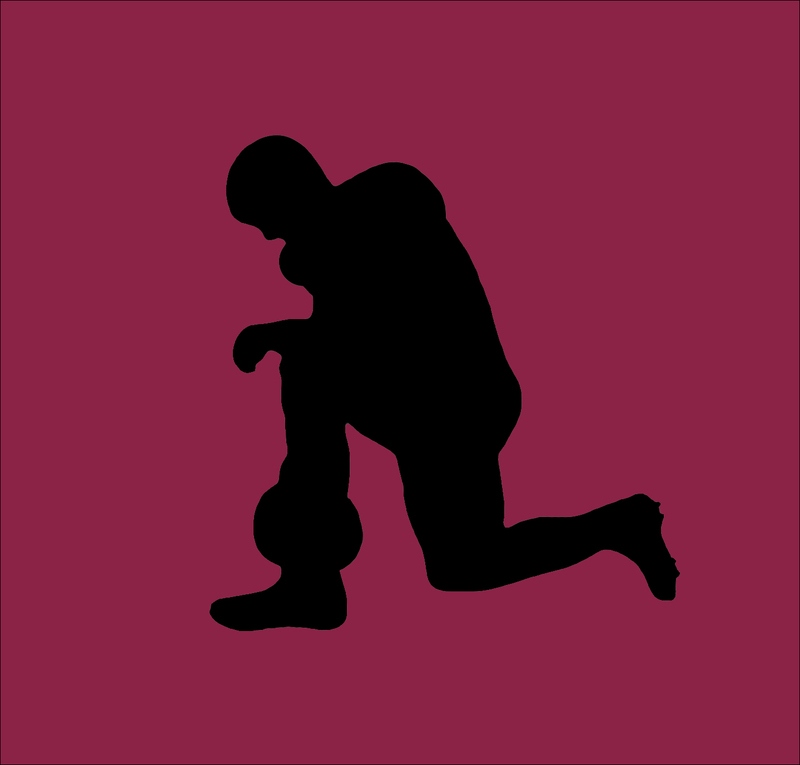 So as long as the team is taking a knee instead of individual players, then the message they are sending is much more powerful,” said NMSU linebacker Shane Jackson. It remains to be seen what college players, NFL players, coaches and team owners will do going forward, but there is no denying this year’s NFL season has already been very eventful, and it shows no signs of quieting down any time soon.